Community Plan, Professional Plan and Enterprise Plan. 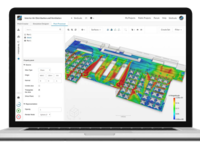 Based in Munich and Boston, SimScale is the worlds first production-ready SaaS application for engineering simulation. By providing instant access to computational fluid dynamics (CFD) and finite element analysis (FEA) to 150,000 users worldwide, SimScale has moved high-fidelity physics simulation technology from a complex and cost-prohibitive desktop application to a user-friendly web application, available with a yearly subscription. No special hardware, installation or maintenance required. Pros: I have tried several simulations - ranging from solid, fluid, particles etc. The platform is extremely well built and robust. I liked that it was extremely easy to use. The aspect I liked the most was that there is a community version that students and learners could use. In addition, I think the professional version serves best for more advanced users who would use simulations for design in a more pronounced manner and on an everyday basis. The forums are extremely helpful and I am really glad regarding the speed at which one receives replies both from the people working in the company and also other users. In addition, the blogs and help files definitely make it really easy to use the platform. One of the aspects I also liked is the fact that it is based on open-source codes. So it is not a black box. I could go to openFOAM and check out how things work. The codes are all well parallelized that I have never faced any issues. Issues with parallelization are a general problem in this line of work but with SimScale this was really handy. 2. Allow users to use custom material models. Most often, in both industry and academia, we do not use material models given in the software but would like to input our own material model. This is what drives most of the R&D centres. 3. There are no ad-hoc algorithms that allow hexahedral mesh generation for all geometries. I can think this as one of the reasons why SimScale might not have hexahedral mesh generator. But this can be significantly useful for many applications. Overall: I have tried several simulations - ranging from solid, fluid, particles etc. The platform is extremely well built and robust. I liked that it was extremely easy to use. The aspect I liked the most was that there is a community version that students and learners could use. In addition, I think the professional version serves best for more advanced users who would use simulations for design in a more pronounced manner and on an everyday basis. I am sure this is a platform with great potential for the future & I will look forward to upcoming features. Comments: I have used a lot of simulation packages over the past twenty five years including Nastran, Ansys, Solidworks, and a host of others. I have been using Simscale for about nine months now and it has become my goto simulation tool. The cloud concept provides a lot of benefits and one of my favorite is the convenience it allows. I am no longer tied to my Windows workstation, now I perform most of my analysis on a $250 chromebook. I can work on my simulations anywhere and I no longer have to worry about my ram or graphics drivers or versions of Windows. While the convenience of a browser based simulation tool is great, it has also allowed me to run models larger than I have ever conceived on my own workstation. I can run a static analysis with over 20 million DOFs and it will solve in a couple of hours. The value proposition is another huge benefit. The annual subscription rate is less than the maintenance fee I paid on my Solidworks Simulation with only linear static capability. Simscale includes linear and nonlinear structural analysis as well as thermal and CFD. I am also saving money because I do not have to worry about updating my workstation or Windows. Simscale is not a perfect tool, the two biggest areas of pain for me are the element types and the post processing. Right now Simscale does not support shells, beams, or springs. They are limited to primarily to tet elements so you have to use workarounds to accomplish some things. Also, the online post processor works well for small and medium jobs but for really large jobs you will need to postprocess locally. One other noteworthy area is customer service. Simscale probably has the most responsive customer service of any of the simulation companies I have work with. Thanks for such a great feedback, Christopher! Thank you for your feedback, Amrit! We will look into it. We are working on improving the platform for our users on a constant basis, so your comments are very much appreciated! Pros: I love the way it simplifies the meshing process combined with its escalability. By guiding you through its meshing procedure, it efficiently eliminates most of the very time-consuming user work required to generate a mesh with traditional CFD softwares, which greatly reduces headaches and mesh delivery time. And last but no least, the possibility of using a high number of processors also enables obtaining results from huge models in a standard-size computation times. Cons: It lacks some advanced features available with traditional softwares, such as the use of shells and defining properties on them. Comments: Pros: easily accessible, relatively ease of use, based on very good solvers, good customer experience and communication. Cons: lack of "pay as you go option", lack of free access to CFD tutorial license option to get proficient in the software to reduce price of use, such payment solution pushes away people who don't have regular customer base yet from SimScale to CalculiX, OpenFOAM, Salome platform. For the price of the training and 1 year access I did OpenFoam training with accommodation in Italy. OpenFOAM itself doesn't cost a bit! I think the workshops are awesome you can learn really fast. You get immediately support if you have an error with your simulation or some ideas to gain a solution for a specific technical problem. The project sharing function makes it easy to communicate with other Simscale Users so that they may help you if you have issues. I also like the different kinds of simulations they're offering. There's e.g. the CFD sector with compressible, multiphase and lots and lots of features. Pros: The user interface for this software, coupled with fantastic customer support and training, make it very easy to jump in and start using it to model complex scenarios from day one. The cloud-based computing means that I didn't need to dedicate an expensive computer to CFD modeling, and could run multiple simulations at once while still operating my main computer. Cons: I've used the software primarily for CFD, and there have been a few pieces of openFOAM functionality (which is simscale's CFD backend) that haven't yet been migrated into simscale, so flexibility in modeling is slightly reduced from openFOAM. However, this is greatly made up for by the ease of use of the software and community experience. Overall: Great training and customer support, easy to use interface that didn't require linux knowledge or other specialized knowledge. Ability to run models from any browser without the need for complex computing. Cons: I worked on a project evaluating SimScale for use in a professional setting and the software was unable to provide accurate results for a simple CFD simulation that I worked on with customer support for quite some time. They were responsive, but seemingly unable to find any issue with my solution that would only converge with unreliable results, if at all. Soon, they stopped responding. It just looks like the implementation of OpenFoam for CFD and the support staff are not at the level they need to be for SimScale to work for us right now. Hopefully things will improve in the future! Thanks a lot for your feedback! I am sorry to hear that you didn¿t have a positive support experience. We treat the success of our customers as our success. So we aim at answering all user questions with effective solutions that help them get the job done faster. It seems like we didn¿t achieve that in your case. After a review of the support logs, it looks like this is what happened: Our support team answered via the live chat but you were already offline. Then the automatic follow-up email that is sent in case a user doesn¿t read the chat message wasn't sent out. This is currently being investigated to ensure it doesn¿t happen in the future. In case you¿re willing to give SimScale a second chance, our support team would love to help you be successful with your next CFD project. If there is anything in addition we can do to help remedy your experience, feel free to reach out to me directly. Pros: SimScale is a great package, I personally used it as an educational resourse for the biomedical industry and I absolutely loved it. It has a whole set of functions and tools that allows you to design, pre-process, and post-process. It also contains the geometry, mesh and simulation tabs that make this software incredible realiable. 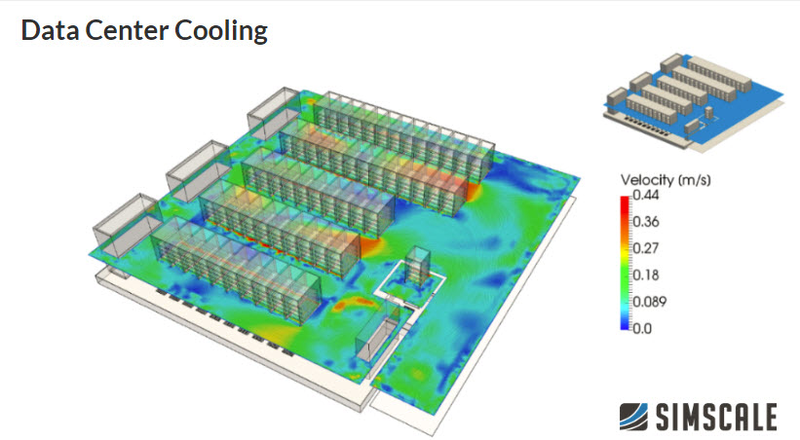 The webinars SimScale offers are really helpful and allows you to learn more about te software and opens the options of use in many industries. The staff are always very helpful and willing to explain and help in any topic. Cons: Even though it is a great software and has all the main tools and functions, it still lacks a few features that are highly used in some industries. Overall: Great experience would definitely recommend for anyone that wants/has to design and simulate a product or objec. As a engineering student I feel this is a great software to learn and increase knowledge in design and materials. Pros: I like the most about this software is background computation in mesh and simulation. Overall: As you know that your simscale platform is a great platform performing simulation on cloud and if you will perform a serve there are many regions on earth where internet speed is really great but In that region people buy moderate laptops and those can't perform simulation on 2 to 4 core laptops even though colleges have also low core configuration computers however if they use your platform with integration cloud based cad software and I believe if you take one step ahead with two advancements in your simscale ,first Collaborate your simscale with cloud based cad software and Second Spend more money on advertisement specially in colleges & schools. I realized it in my NORTH region of PUNJAB (INDIA) what I have written above. However if you give me official rights to advertise your product in my region then I can prove that I am right and your product will get more attention. THANK YOU for giving me chance to ignite your simscale improvements with my words. Pros: It has a great user interface. Projects can be shared, version managed, and worked on collaboratively. It offers easy access to state of the art open source FEA analysis algorithms without all the hassle. Cons: The 3D view could be smoother. It looks as if they are rendering it on a server, instead of having a true webGL interface. But that is only a minor issue. Overall: Shorter development cycles, more capability in analysis mechanical components during the design stage. Comments: First, I'm an industrial designer, with no experience in simulation and a brief training in structural analysis. I tried this software this summer while designing a product for the startup I work for, attracted by 2 words: "online" and "free". They have very slim budget and moreover I'm no expert in simulation, so spending money for a tool I couldn't use would make no sense. Me and my colleague, which is more familiar with simulations, were surprised by how easy was to use the program and how much did it offer for free: for example, the hours of cloud computing are a good feature for people working without a great hardware, or without enough time! Unfortunately, none of us was familiar enough with simulations to extract value from this tool, even if customer assistance has been outstanding. Nice aproach and easy to use. Pros: the way it manage the data. Cons: the confidence on the results is compromised, many clients requires some specific software in order to maintain this confidence. Overall: the software is pretty useful, the tutorials are enogh if you had use any simulation software before, in the other hand, if i compare it with ansys im not sure about the the accuracy of the methods or the calculations. but as a fact if i have a hurry, i will use simscale it is faster. Overall: I'm really happy for this application on cloud, is easy to use and also has big power, but has is possible to download files post-proces and every all can use Paraview stand alone in the personal computer, i good like to download files like pre-procesator for Open Faom / Calculix /Su2 and also to mesh files. (a) The mesh can be downloaded separately after successful creation. (b) The simulation results can be downloaded for offline post-processing purposes. (c) Post-processing can be done on SimScale platform and the screen-shot/plots can be downloaded as well. You can use ParaView/ParaFoam to view the mesh and to do post-processing. In case you are still having problems with downloads, feel free to reach out to our support for help. Excellent Product with outstanding support and learning resources! Comments: My experience with simscale has been great, the effort that has gone it ensuring a good user experience and workflow is clear and they done a great job. Ease of use far exceeds what i have found with other commerical products that are priced much higher. I especially commened the efforts that have been made in regards to learning resources which has made the transition from other software much easier. There are some area for inprovements such as the import of geometery which can sometime cause issues and the ability to pause simulations would also be extremly useful. Overall i have been very satisfied with the simscale product. Comments: Simscale enables users to design and run various forms of physical modelling from the user's web-browser. From Finite Element Analysis (FEA) to Computational Fluid Dynamics (CFD), the capabilities are very broad. Providing a user-friendly interface and cutting the barriers to learning, e.g. access to software and computational power, Simscale represents a very promising way of learning various elements of computational modelling. Wow! Such a great review, Andy. Thank you and we hope you will get a chance to participate in one of our free online workshops this quarter. We are planning a few interesting ones for our users. Comments: I run a small engineering business. In the past, high end simulation software was out of reach, but now SimScale makes it accessible to everyone. SimScale provides professional grade simulation tools with many of the features found in high end alternatives, but at a fraction of the price. 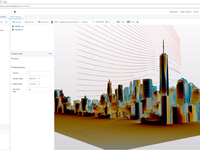 SimScale runs on high performance computers in the cloud, the user only needs a web browser for configuration. 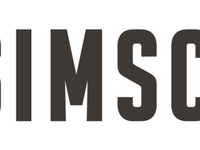 SimScale is backed by a talented and enthusiastic support team. It also has a helpful on-line community. SimScale is free for public projects. Comments: Though, I didn't explore all the functionalities of the software, I found it a wounderful idea with wonderful tutors. From the first day I learbed about SimScale, I was recommending to all my friends and introducing it, as I was really facinated. A little cons is that, it is a bit slow! Thank you, Desta, for your comment! We are working to improve the speed aspect. Please note that this can also be influenced by your Internet connection. We hope to reach all your expectations very soon, as we are updating the platform every 2 weeks. Comments: On one hand, it's friendly and with the help of videotutorials you can find in youtube, it's easy to manage. In addition, it's free in basic version. On the other hand, it's need to be connected to internet during the period of parametrization, in ocassions is necessary to wait for a certain of minutes to finish all the process. I think it could be a good idea to offer an offline software of SimScale. What do you think about it? Anyhow, it's a great idea indeed: thank you for developing this software. Go for it! 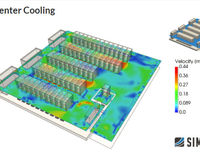 Comments: Simscale is a great software to develop your knowledge about numerical simulation. For me, one of the best things is the customer service, there are several people trying to assist you and always asking you if they can help you. Maybe the biggest con, is that it's a bit difficult to establish all the possible conditions of a simulation. One of the biggest advantages is that all modules (Fluid dynamics, Solid mechanics, Acoustics...) are similar, so, if you know one of them, it's really simple to learn another one. Simscale is an excellent program for what it does. Comments: I have been using SimScale for a variety of different tasks here at Tin Whiskers. I have needed static structural analyses, and static thermo analyses. So far, the results I have received have proved satisfactory. A few times, I have made an error in the sim setup, the run threw an error and the sim didn't work. A change I propose is to have the log be a little more helpful it telling you where your error is. Other than this, I really enjoy using the software and look forward to using it in the future. Overall: I'm actually an Electronics Engineer, I tried to learn CFD using Simscale which was one of the best decisions that I had ever took. They offered several hours of free usage using which i tried out different stuffs. Also as a beginner I could use the software with ease with just a little help from the forums. The support provided is cool and your doubts are clarified as soon as possible. Cons: It can be difficult to navigate and find the right settings. Overall: I enjoy using SimScale and the added advantage of having it on the cloud vs on my machine. When I set up a simulation that will take some time I can still use my computer to do other work while the simulation is running and not have to worry about my machines performance being low. That and I don't have to invest in upgrading my hardware. Thank you for your review, AJ! Pros: you can do a lot of simulations of many subjects, it is easy to use and the staff is always willing to help with all the questions you have. Cons: some simulations take a lot of time. Overall: SimScale is a very good, easy yo use and useful program to simulate any kind of process or design. The customer support is very effective, they help you with everthing and are quick to answer your questions. Cons: At times some of the simulations were unable to run either due to a system update or some error in the system. Overall: Overall good experience using the software. The with ease of functionality, resources and simplistic interface contributed to user understanding . Thanks, Vanessa! Happy to hear that you have a good experience with SimScale. Cons: It needs some things, like point masses and 1D connecting elements, but you'll get there, I'm sure. Overall: Great stuff! Keep up the great work. I'm looking forward to increased functionality, but its already an incredibly useful engineering analysis tool. Recommendations to other buyers: It would be nice if one could get a non-perspective view. Pan/zoom/rotate is a bit odd in terms of mouse buttons. 3DConnexion space-ball compatibility would be a plus. Thank you for the nice feedback,Joseph! We really appreciate it. We are constantly working on improving the platform for our users. Pros: Online access and non-local computation. Cons: Hard to figure out why failures occur. Overall: Core functionality of meshing and simulation is good. Simulation runtimes are reasonable. Biggest problem is sometimes simulation runs fail and the reason for the failure is not clearly presented. Latency in the web UI also leads to frustrations. The only time there should be a delay when a button is clicked in the web UI is when large data transfers happen. Hello Thomas, Thank you for your feedback! I'm really sorry to hear that you are experiencing problems with simulation run failures and latency. This is something we would definitely like to look into. Did you try to reach out to our support regarding the failure issues that you are experiencing? Overall: I really liked the idea of a web based simulation tool capable of performing both CFD &Structural Analysis. The interface can be improved and ease of use can also be made more user friendly. I think over time this is the platform for organizations to cost effectively perform simulations. Recommendations to other buyers: Have a CAD tool linked on the same platform for ease of use and import. Thank you for your feedback, Sanjeev! It's definitely our goal to make SimScale more intuitive and easy to use so we are working on it. Comments: I used this service for heat exchanger optimization, did all the CFD simulation stages (meshing, computation, post-processing) in one place. A bit tricky at first, but all the information available in tutorials. And in my particular case I've got a quick response from help desk regarding account access problem. Comments: Pros: 1) easy to use. 2)The ability to simulate the whole or a portion of an object. Cons: 1) It is a bit slow when the simulation is running. Experience: It was a great experience and it is nice to have many simulations for different purposes in one website. Comments: Very smart and intuitive when it comes to hand for the first time but it also gives to the more experienced user a feel of control. I highly recommend this to everyone who's looking to raise the bar up for product quality. Thank you very much for your feedback, Andrei! Pros: Cost effective, easy to use, quick, doesn't bog down my CPU. Cons: Probably need more model control. Overall: we have recently used Simscale for a number of heat transfer analyses and have been very happy with the results. Sharing the results with the end client has made it simple to effect a manufacturable solution. Recommendations to other buyers: Great experience so far! Thanks for the great feedback, Greg. Let us know if you need any help with your projects! An innovative sulution for engineering, may be very useful in future. Comments: As I work in education (high school), it is interesting for me to get access to CAE systems in different places using different computers. This online service may fit me a lot in future to use it in studies. A new experience in simulation. Pros: There is no need to install the software on a computer. Cons: Sometimes there are some bugs. Overall: Simscale is a new concept in simulation. You can simply create your model and upload it into simscale to start your simulation. After you created your mesh you can go through setting the simulation and wait for the results to come. You don't even need a computer on which instal the software, you just need a generic computer with an internet connection and you can examine your simulation from wherever you are. One small step for programmers, one giant leap for engineers! Recommendations to other buyers: I advice to keep evolving the software. Thanks, Valentino. It looks like you enjoyed our EUROAVIA workshop, and we hope you will join the Formula Student workshop that we planned for this quarter as well. We will definitely keep on evolving the software! Comments: Post processing is not very user friendly. Hi Erkan, did you try our new web-based post-processor yet? We are very interested to hear your thoughts, as this was a downside for you in the past. SimScale has simplified my simulation work from weeks to days !!! Overall: Hello, I am a bicycle designer and manufacturer of bicycle components. Since Simscale is a cloud based software, i need not worry about using my 8 year computer for the simulations. most importantly the UI is simple and effective (although i am not an mechanical engineer). It took me very less time to learn simulations from tutorials and Youtube and apply the same in SimScale. I am using a trail version, but will certainly upgrade to Pro version soon. Also recommend other users too. Comments: I was on simscale plotfarm one month it is so nice to work and i did not get chance to work on simscale but it is really helpful and most important and good helpful things. Comments: I had a good experience with SimScale as a student during my University projects where i was in need of a free and easy to use program of analysis. Cons: A bit slow some times. And also disconnects from server . Overall: Was experiencing some issues. For example it sometimes didn't connect with server. Some moments it was quite slow and lagging. But overall it's great idea to build simulation on this platform, as the support is amazing and responds very quickly in any time. As it's new, I would recomend to improve connection. Hi Diana, in which simulation types would you be interested? We would love to learn more as well as try to resolve your latency issues. Maybe you could post your suggestions on our forum at: www.simscale.com/forum/ ? Comments: simscale is such a great product. i appreciate the fact that i can use this product on any device that connects with internet. Comments: I liked it but I couldn't seem to debug the error messages myself....especially for CFD. Wish it was more straightforward. Cons: Features are a bit tough to learn. Overall: I am a PhD student and I have used many simulation softwares during my academic career. 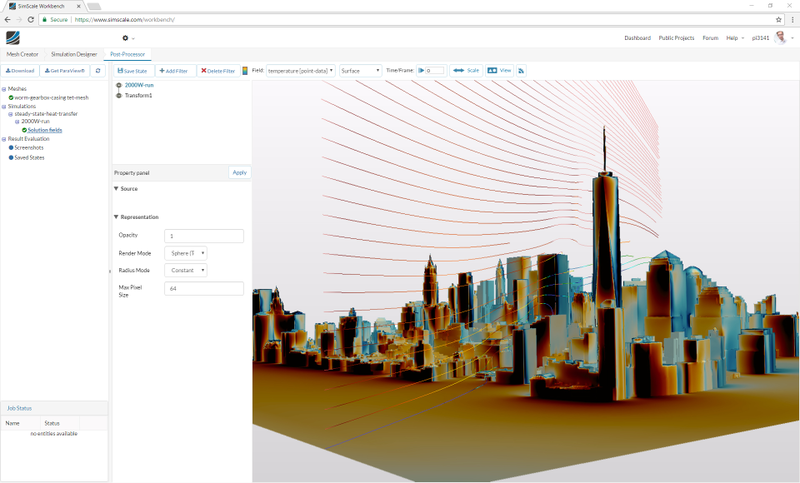 What makes Simscale apart is their processing using cloud. This allows me to perform simulations using a computer without a high end processor but gives me superior quality results. Their customer service is also really good as they respond to your queries real fast and effectively.